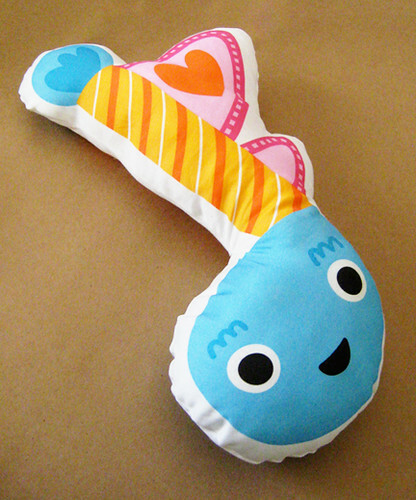 This is a little plushie I made with Spoonflower fabric. I wanted to make something that was super easy to sew for kids or beginners. The finished piece is about 14" tall.